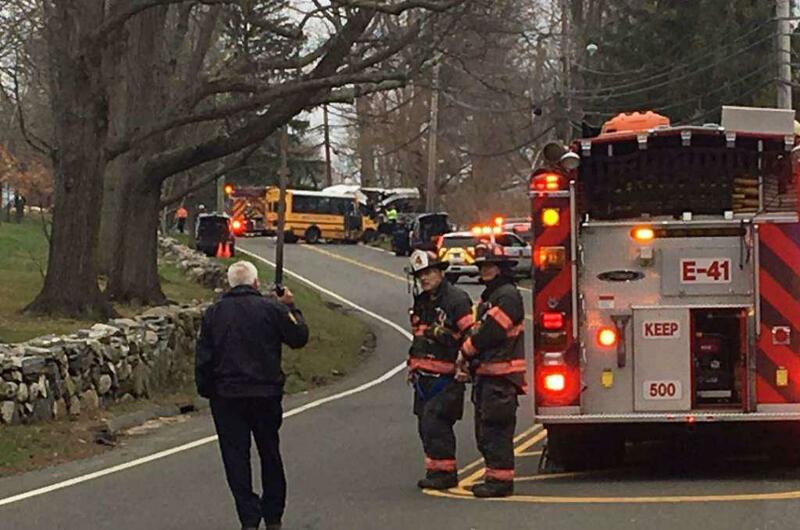 GREENWICH — A major collision between two buses sent 10 people to the emergency room with serious injuries Tuesday afternoon. 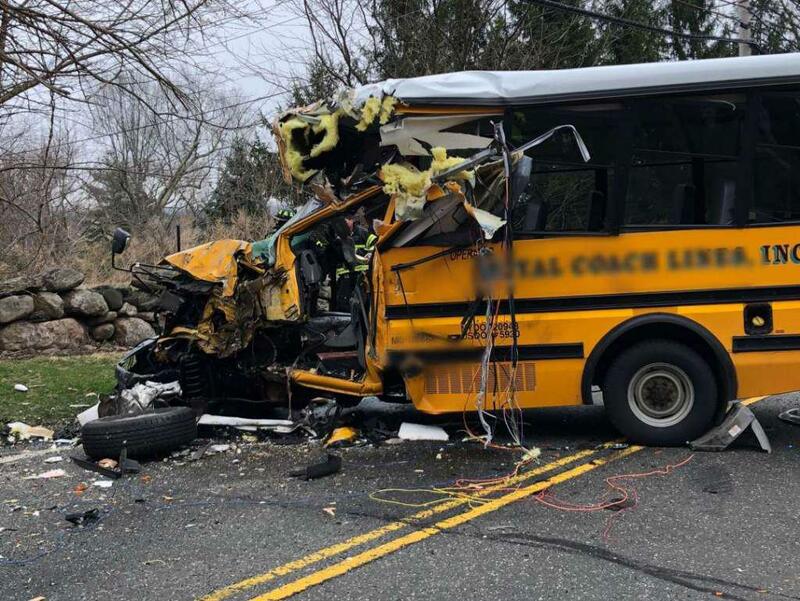 An empty school bus serving Sacred Heart Greenwich slammed into another vehicle operated by Countywide Transportation, which was carrying nine people, Greenwich police said. 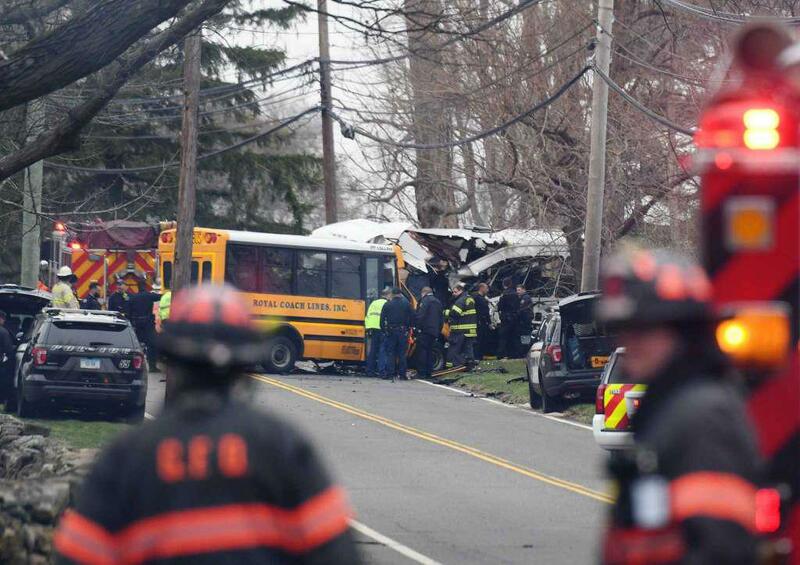 That bus was carrying seven adults with developmental issues, as well as the driver and a group monitor. 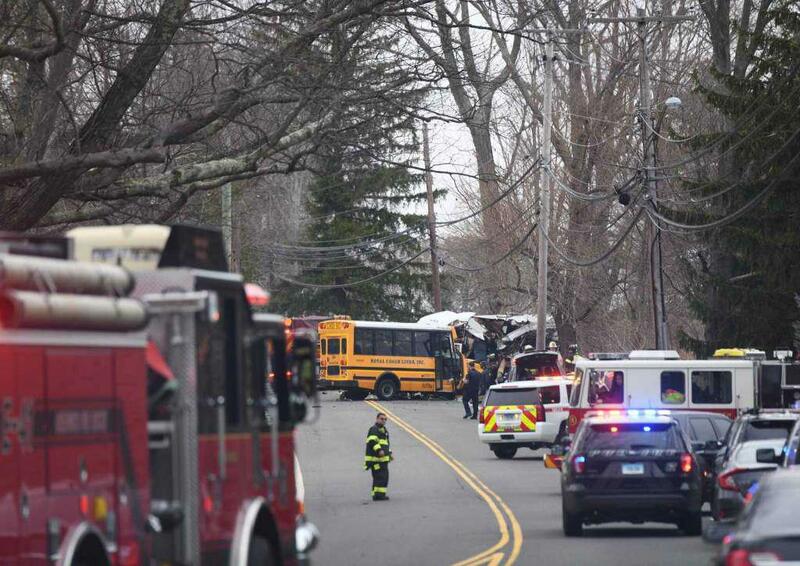 All 10 people were transported to Stamford Hospital, some with serious injuries, according to police. 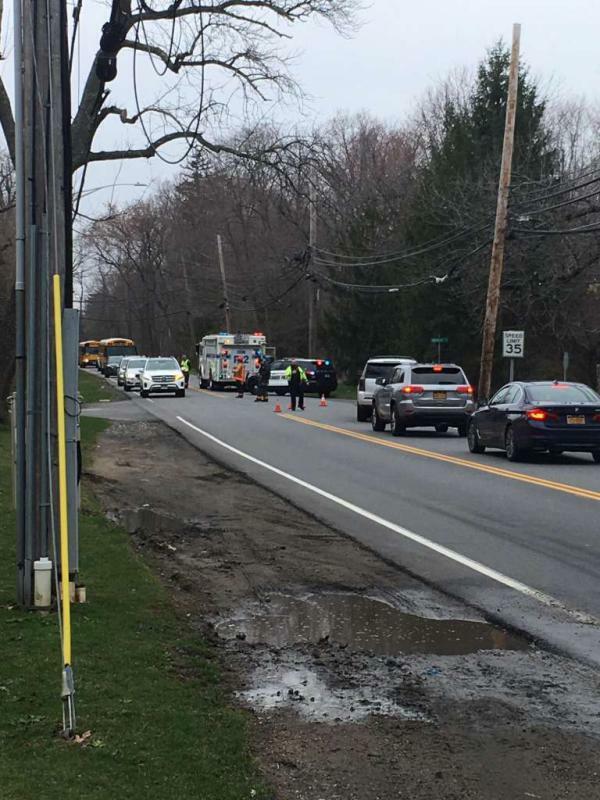 King Street was closed in both directions, near Brunswick School, as police investigators went to work to determine the cause of the crash, which occurred shortly after 3 p.m.
“Everyone has been transported from the scene, and we are continuing to work on the investigation,” police Capt. Kraig Gray said late Tuesday afternoon. “There were all different types of injuries — broken bones, contusions, head strikes. 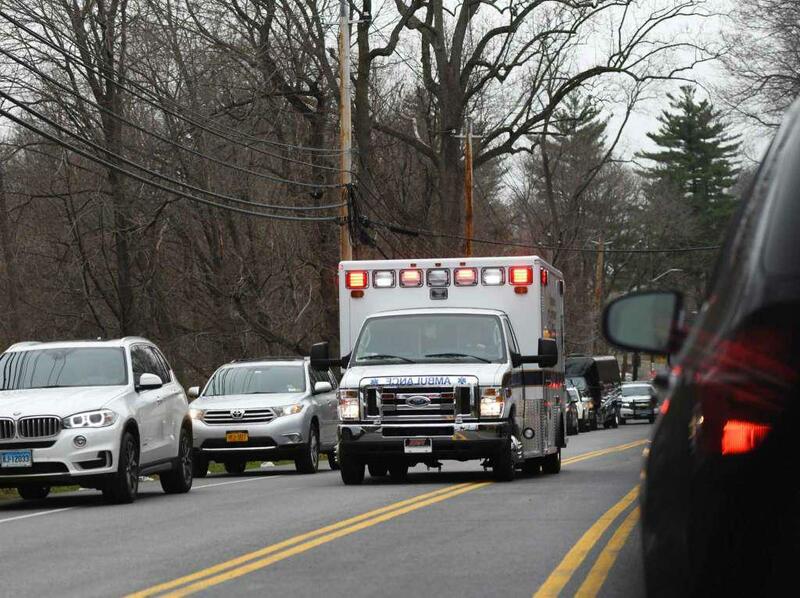 All of the passengers involved in the collision sent to the emergency unit at Stamford Hospital were listed in fair condition, hospital spokeswoman Christina Scott said in a statement late Tuesday afternoon. Stamford Hospital has a special trauma unit for emergency medicine. The adults riding in the Countywide bus had completed day programs in the King Street area and were headed to their homes in Westchester County, N.Y., according to the Yonkers-based bus company. Christine Soifer, of Countywide Transportation, went to the scene after the crash. There were some challenges involved in assisting the injured passengers on the bus, Gray said, but the first responders worked through them. 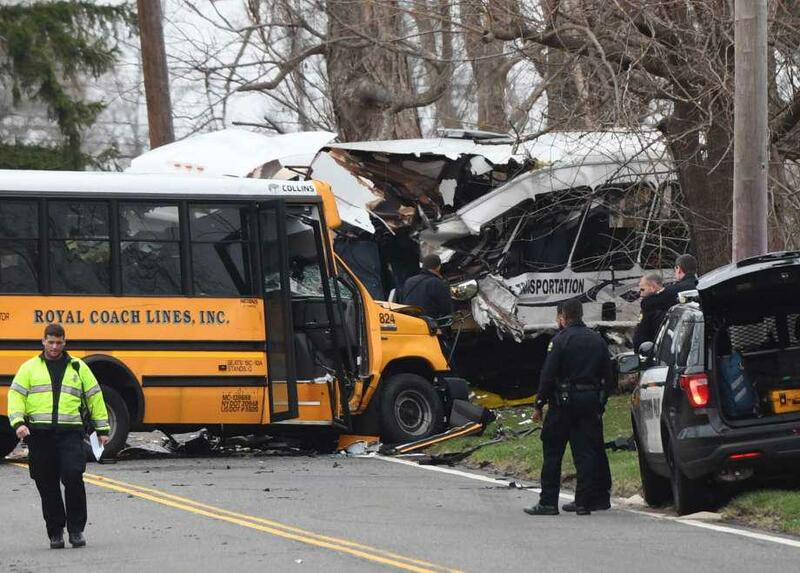 The two buses collided, nearly head-on, and the front ends of both vehicles were badly damaged. There was no word from authorities Tuesday on what might have caused the crash. “We have a unit on-scene to determine all the mechanics of how it happened,” Gray said. The Greenwich Fire Department and the Greenwich Emergency Medical Service sent multiple units to the scene, and the blare of sirens filled the neighborhood all afternoon.